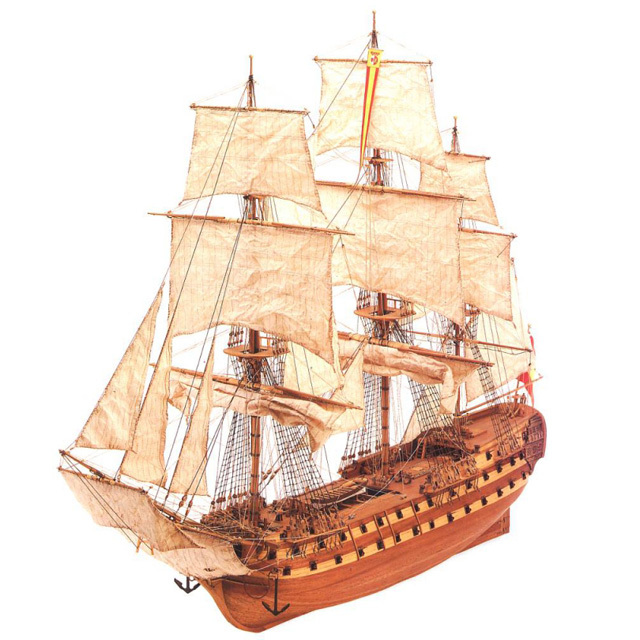 A 2,700 T vessel with 74 cannons launched in 1765, the San Juan Nepomuceno represents for the Spaniards a wonderful example of the heroic temper of their race and of the bravery of their sailors. Commanded by Admiral Cosme Damian Churruca, the San Juan Nepomuceno fought at the battle of Trafalgar in 1805 and there won imperishable glory through suffering and death. Admiral Nelson, mortally wounded, continued directing the battle, while Admiral Churruca, whose leg was shot off by a cannonball, continued commanding his ship, ordering “Fire!” from amidships.